Behold the latest collection to the J & M Premium Leather Family. 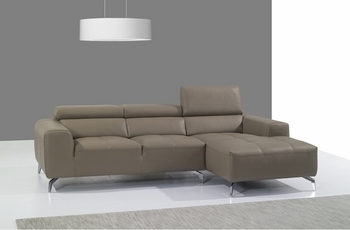 J & M is proud to present the A978 sectional. Luxuriously crafted in a gorgeous Burly wood premium thick Italian leather. This sectional features high density foam seating with lumbar support, & ratchet headrests for easy adjustment & maximum comfort. This item can be special ordered in a Sofa Set, & different configurations, with a variety of color options.